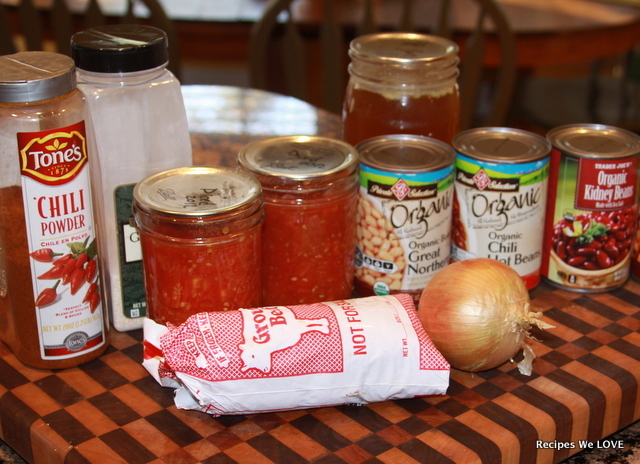 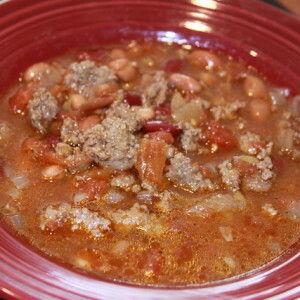 This chili can be throw together very quick with 6 cans from the pantry and some hamburger, so you can make a big pot for under $10 so this dinner won't break the bank either (It feed my family of 3 for 2 or 3 meals). 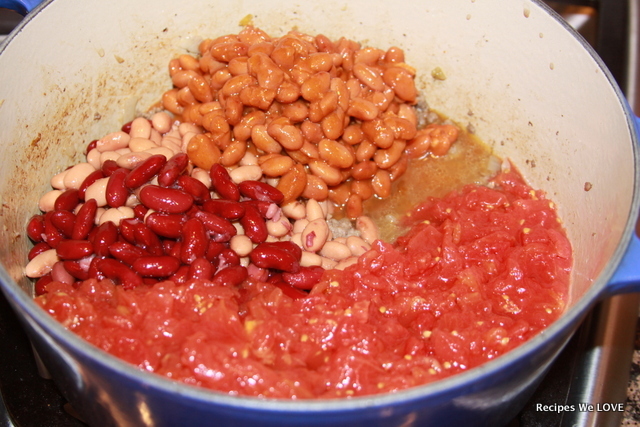 I cook my beans and freeze like THIS along with can my own tomatoes, and broth but either way it is fast to throw together. 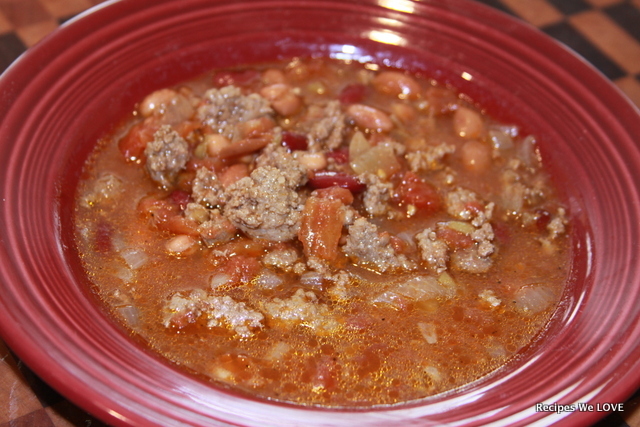 Brown your hamburger then add everything else in a pan and simmer for about 30 minutes.